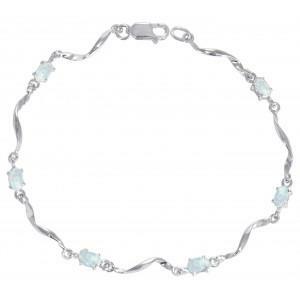 Beautiful Sterling silver bracelet set with oval shaped white created opals and linked with silver twists. 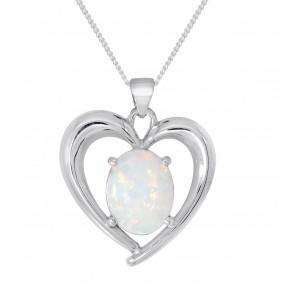 Pair with any of our white created opal pieces for a gorgeous and easy to wear set. 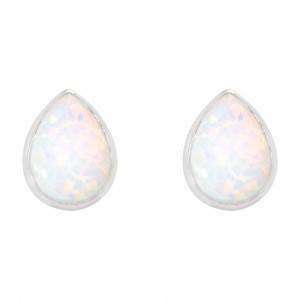 Created opals are grown in a lab from tiny amounts of opal silica. Created opals have exactly the same chemical properties as natural opals. 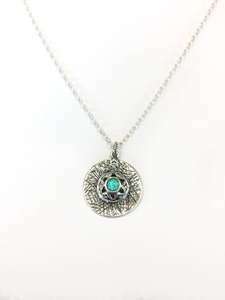 They are in fact more durable than natural opals as they do not contain water - making them less vulnerable to changes in temperature, humidity and heat. The beautiful iridescence of the the stone is caused by the light bouncing off the silica spheres that form the stone - the blue and green colours seen within the opal are created by how close these spheres are situated.